Stone fruit orchards and grape vines at Blackmans on an autumn morning with mist over the Clyde (Mata-Au) River and Clyde beyond. Hinton's orchard in front. 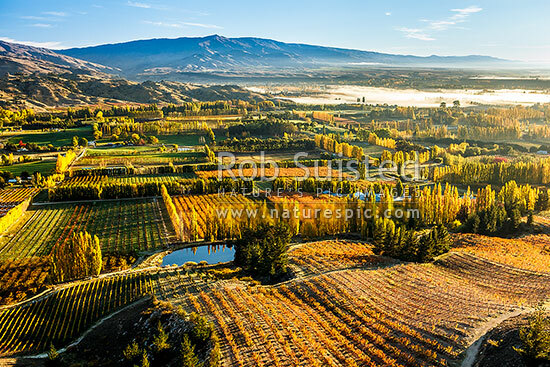 Aerial view, Earnscleugh, Alexandra, Central Otago District, Otago Region, New Zealand (NZ), stock photo.